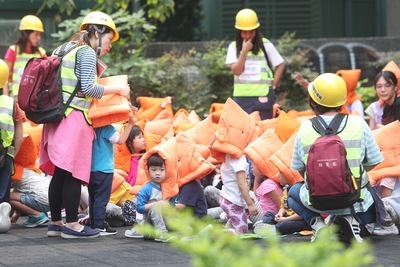 Taipei, Dec. 7 (CNA) The Feb. 6 Hualien earthquake was the most talked-about event by Taiwan Facebook users in 2018, while International Women's Day was most discussed by Facebook users around the world, according to an annual review of popular moments shared on the social media network. The 2018 Year in Review released Friday showed that the magnitude 6.0 earthquake that shook eastern Taiwan, killing 17 people, was the most discussed term on Facebook by users in Taiwan, followed by Swedish musician Avicii, Irish rock bank The Cranberries, the royal wedding between Prince Harry and Meghan Markle, and British scientist Stephen Hawking. Facebook said on a global level, International Women's Day (IWD) on March 8 was the hottest topic on Facebook for the second year in a row, adding that the IWD conversation included a wide range of topics related to women and was not limited to the day itself. Facebook added that its communities also celebrated other socio-political events such as the Brazilian presidential election on Oct. 7 and the U.S. midterm elections Nov. 6, two of the top conversations about voting and elections. There were also 2.3 billion posts, comments, reactions, and shares related to the 2018 FIFA World Cup. Facebook said that the 2018 year-in-review was based on top keywords by volume mentioned in a single day on Facebook between Jan. 1 and Nov. 11. The company added that it also compared the collected keywords to the maximum single-day volume the previous year, in order to identify 2018's unique topics and avoid moments that are popular every year, such as Halloween.